A hundred years before "globalization" and "multiculturalism" became the goals of every corporation and curriculum, three Japanese girls spanned the globe and became fluent in two worlds at once - and other to everyone except each other. In 1871, as part of a grand modernization effort, the newly restored Meiji government in Japan sent five young women to the United States to study Western ways. Three of them remained for ten years, each trading her traditional samurai upbringing to live with a host family as a typical American schoolgirl. 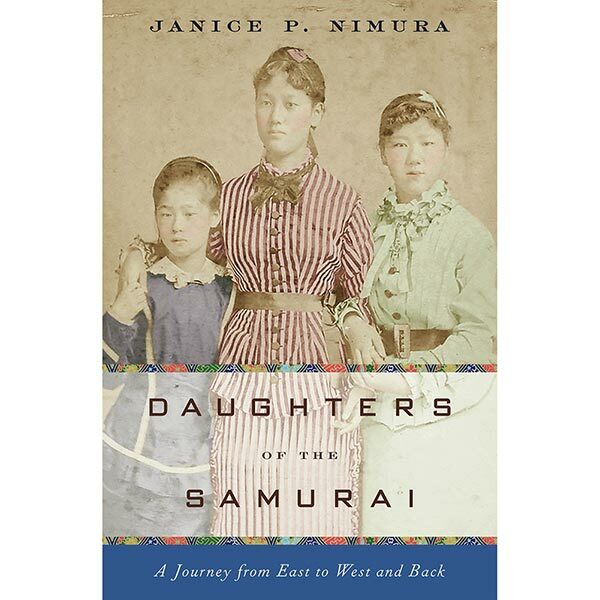 Utilizing in-depth archival research and decades of correspondence, Janice P. Nimura vividly resurrects their remarkable stories, from their arrival as celebrities in San Francisco, through each one's unique educational journey, to their return to Japan and their revolutionary work for women's rights and education. (One founded a literary magazine that translates to "Bluestocking"!) Erudite yet accessible, Daughters of the Samurai is a compelling and intimate account that sheds light on a remarkable period in history.